Snakes are romantic and charming. They are deep thinkers and always mysterious. Snakes are graceful and soft spoken. They love a good book and appreciate all of the arts. They lean towards all of the finer things in life. 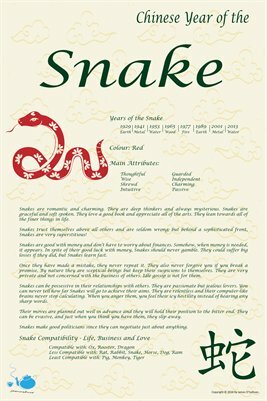 Snakes trust themselves above all others and are seldom wrong; but behind a sophisticated front, Snakes are very superstitious! Snakes are good with money and don’t have to worry about finances. Somehow, when money is needed, it appears. 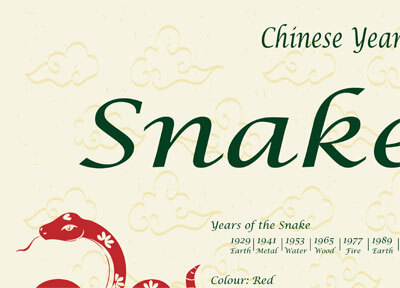 In spite of their good luck with money, Snakes should never gamble. They could suffer big losses if they did, but Snakes learn fast. Once they have made a mistake, they never repeat it. They also never forgive you if you break a promise. By nature they are sceptical beings but keep their suspicions to themselves. They are very private and not concerned with the business of others. Idle gossip is not for them. Snakes can be possessive in their relationships with others. They are passionate but jealous lovers. 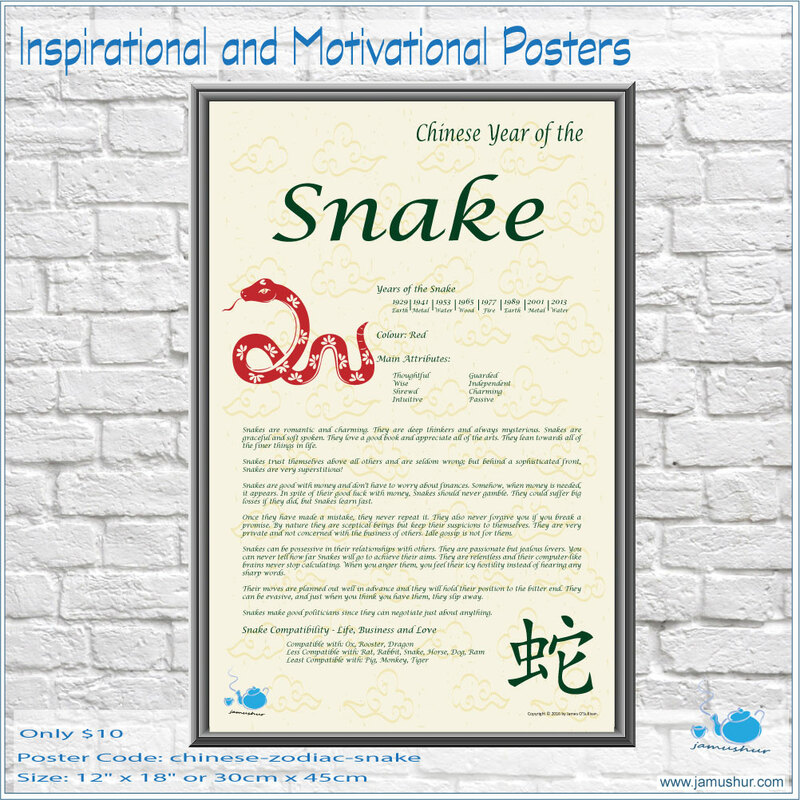 You can never tell how far Snakes will go to achieve their aims. They are relentless and their computer-like brains never stop calculating. When you anger them, you feel their icy hostility instead of hearing any sharp words. Their moves are planned out well in advance and they will hold their position to the bitter end. They can be evasive, and just when you think you have them, they slip away. Snakes make good politicians since they can negotiate just about anything.